This weekend at the Brooklyn Botanic Garden's 35th annual cherry blossom festival, Sakura Matsuri, nature-lovers can enjoy C&G’s permanent “light on the land" sign program—along with over 60 events celebrating Japanese culture. Implemented over the last several years, C&G’s sign program replaced a century of ad hoc signs that detracted from the Garden’s verdant character. 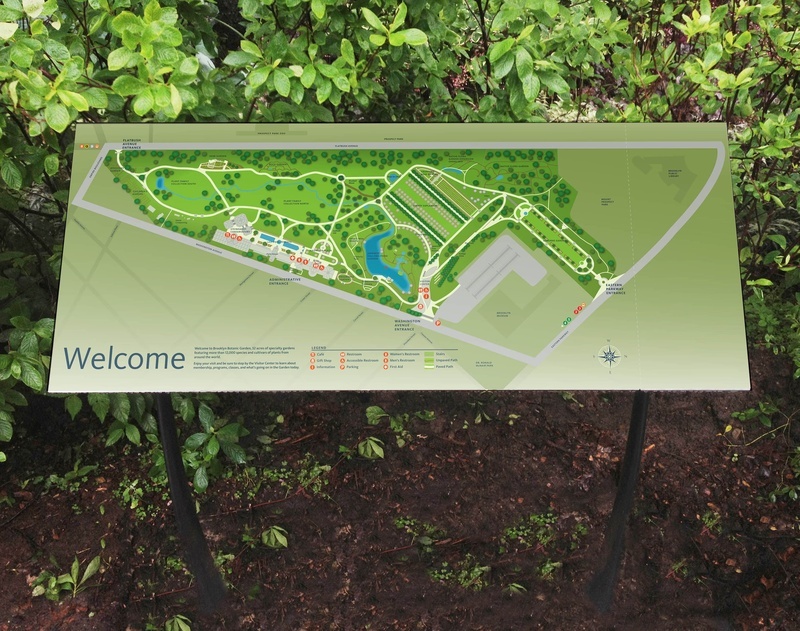 Our wayfinding and cartography scheme, crafted out of bronze and porcelain enamel, foregrounds the 52-acre Garden. The system separates neighborhood destination and garden orientation, makes visitors aware of landmarks, and allows them to explore the garden as a journey using maps. Armatures were based on floral forms and cast in bronze that weathers naturally to a rich patina. 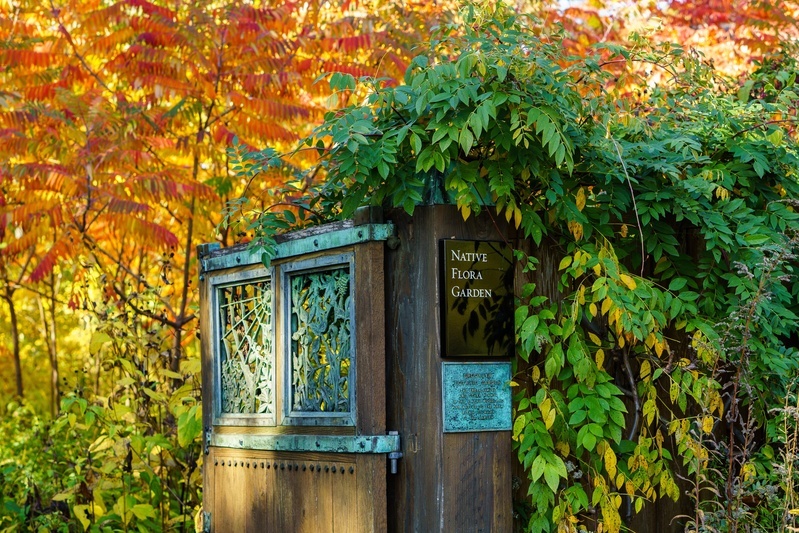 Depending on the visitor's vantage point, the reflective, black porcelain enamel signs can be camouflaged by the foliage or clearly emerge from the landscape. Orientation and discovery are done through maps, allowing visitors to journey through various plant places. Maps are created digitally in the spirit of watercolor, highlighting the humanistic place-finding experience. 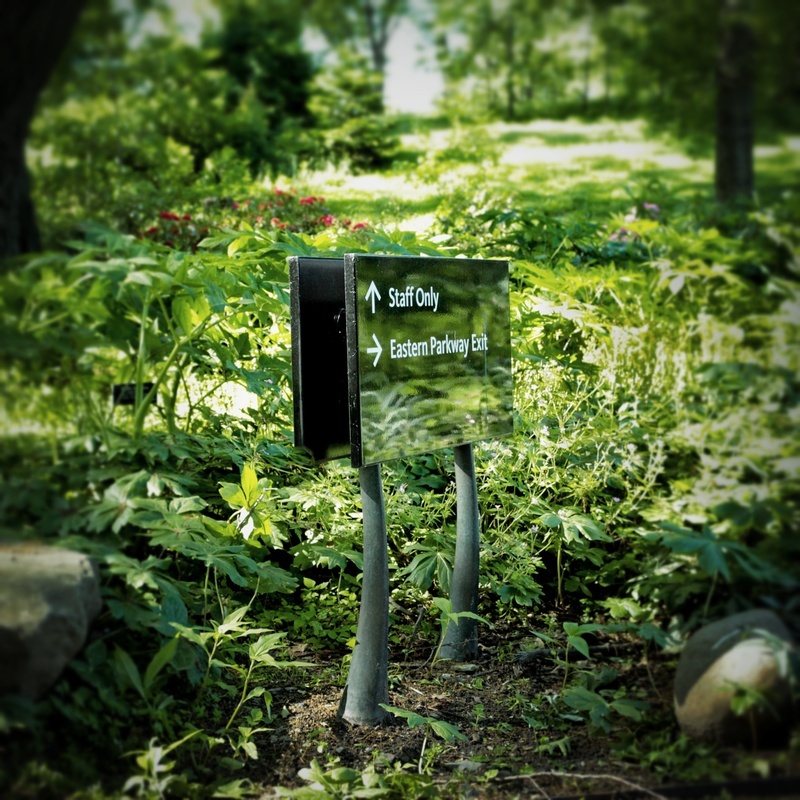 C&G's signage system echoes the Brooklyn Botanic Garden's mission of establishing a sylvan oasis within the bustling borough.